Beautiful property. The Tavern in the Sky is especially nice with a great view. Was a good hotel with a fair price. Breakfast has been better in the past but still ok. The staff was friendly. The hot tub was not very hot and there were lots of children. It was a very nice place to stay. Place was very clean. Everything was great, only floor was need be more clean, and beds were not as comfortable as we remember from couple years ago. The Waterpark was great! Very clean and friendly staff. Hot breakfast and pool were great. Price was great. Very old, not super clean but ok for a quick stay. The nation's smallest metropolitan area, the city of Green Bay serves as the home of major professional sports team, the Packers, whom the residents are incredibly proud of. In fact, this team, which first played in the NFL in 1921, is one of the most popular franchises in the league in spite of the fact that just over 100,000 people live in Green Bay. The team enjoys especially strong support throughout Wisconsin, and many of their fans descend upon this city at least 10 times a year for the team's home games. 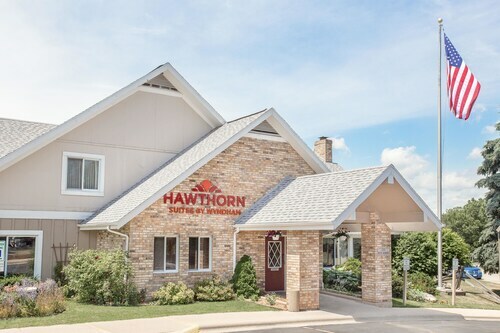 Travelers with little interest in football can rest assured that there are plenty of other activities that will keep them entertained throughout their time here, including brilliant night time entertainment, great-outdoors attractions, the National Railroad Museum and the beautiful Fox River State Recreational Trail. Feel the Packers' patriotism by visiting home ground of the Packers, Lambeau Field. What makes the stadium tours especially memorable is that fans gain access to parts of the stadium not usually accessible. The tour hosts enjoy sharing their impressive knowledge of the facility and the team, so you’ll come away full of football facts. The Packers Hall of Fame is also located at Lambeau Field. Among its highlights are the multiple Vince Lombardi Trophies on display. The Super Bowl champion receives this trophy, which is named after the legendary head coach who led the Packers to wins in the first two Super Bowls: 1967 and 1968. The National Railroad Museum attracts inquisitive folk from throughout the country who want to explore train engines and model railroad exhibits. This is one of the country's oldest museums dedicated to railroad history, and it also provides visitors with a 25-minute tour on a train, which is offered from May to October. Set foot on this beautiful campus and head to the Weidner Center for the Performing Arts to catch one of the quality productions held here, including orchestras and musicals. This scenic trail follows the Fox River for much of its 26-mile journey from Green Bay to Hilbert. Note that it costs a small fee to navigate the trail on a bicycle or a horse, while those walking or running may do so for free. This 48-acre park is an open-air museum that provides visitors with access to historic log cabins and other structures from the late 1800s. Visit for a day and experience the natural beauty of the Green Bay area. If you're a football fan, check the team's schedule for home games and make a fun weekend out of it. 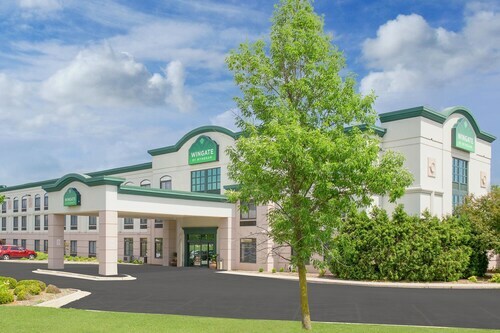 Take note that Green bay hotels can be more costly during these periods, so if you’d prefer to make the most out of the attractions, visit when there are no games. Weather will also play a role in your decision of when to visit, as the winters here are frigid. In January, the average low temperature is nine degrees while below-zero temperatures occur on a somewhat regular basis. The summer months are much more comfortable, with average high temperatures nearing 80 degrees. 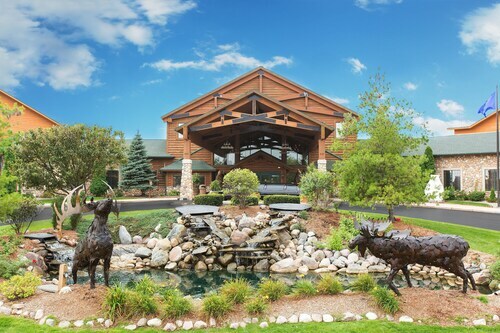 Austin Straubel International Airport (GRB) is conveniently located just outside Green Bay, eight miles from downtown. It receives passengers from Atlanta, Chicago, Denver, Detroit and Minneapolis. Outagamie County Regional Airport (ATW) is another option for those traveling here, which is located just west of Appleton, 35 miles south of Green Bay. The community's mass transit system provides limited bus service in the area. It also offers free transportation on days when the Packers have a home game; otherwise, no service is provided on Sundays. It was close to everything, breakfast was delish, and staff was very friendly!